We all know it’s coming. It’s been sneaking up on us like a thief in the night, taking a few minutes of daylight in the morning and leaving a crispness in the air every night. You know what I’m talking about…fall. Fall colors along the Clark Fork River in Missoula. Around here, if you ask a Montana local, chances are they’ll tell you that fall is one of their favorite seasons. And to be honest, fall is one of the best times to visit Big Sky Country. The weather is gorgeous (always pack layers, just in case) and September offers some of the most consistently nice temperatures of the year, the changing foliage is stunning and there’s still so much to do. But there’s also a catch when it comes to fall travel to Western Montana: sometimes you don’t know where to start when it comes to planning your travel. To which I say, let’s remedy that. 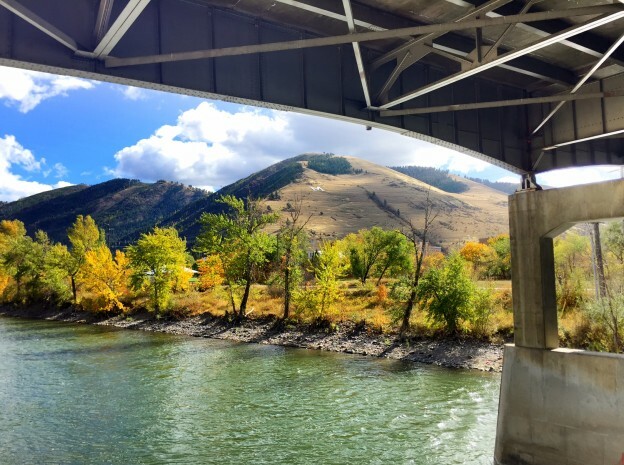 As a lover of all things fall and Montana, I’ve rounded up the best things to do and see this autumn under our big blue sky. 1. Take a drive. Montana’s a scenic place, which means many of our roadways are perfect routes for seeing stunning colors, complete with snow-capped peaks and wildlife-watching opportunities. Some of my favorite drives include the Bitterroot Valley, the Seeley-Swan Valley and Highway 200. 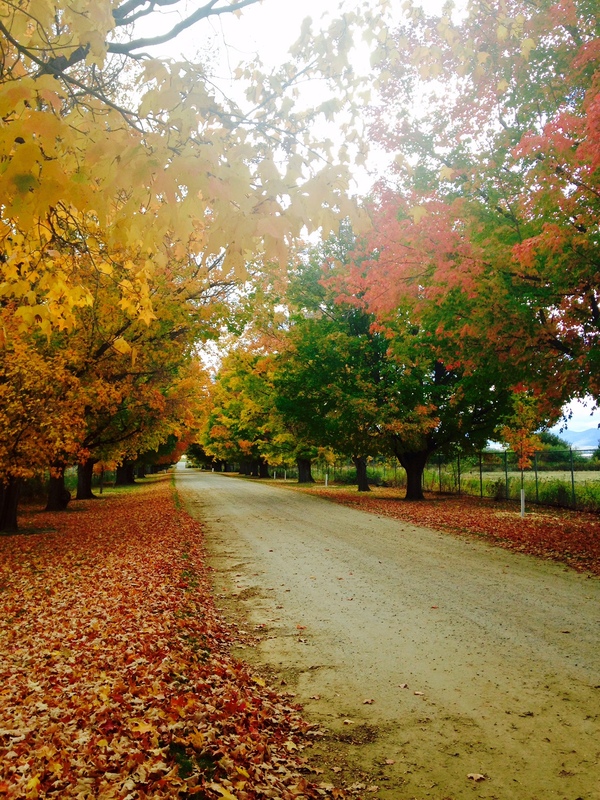 Sidenote: read more about my top three fall drives here. This view is located just off Highway 93 at Ninepipes Lodge near Charlo. 2. Visit Glacier National Park. I’m going to be very honest with you here: fall might be THE BEST time to visit Glacier National Park. Plus, the Going-to-the-Sun Road is open in its entirety through mid-October (weather dependent) making it easy to explore the trails along the road. 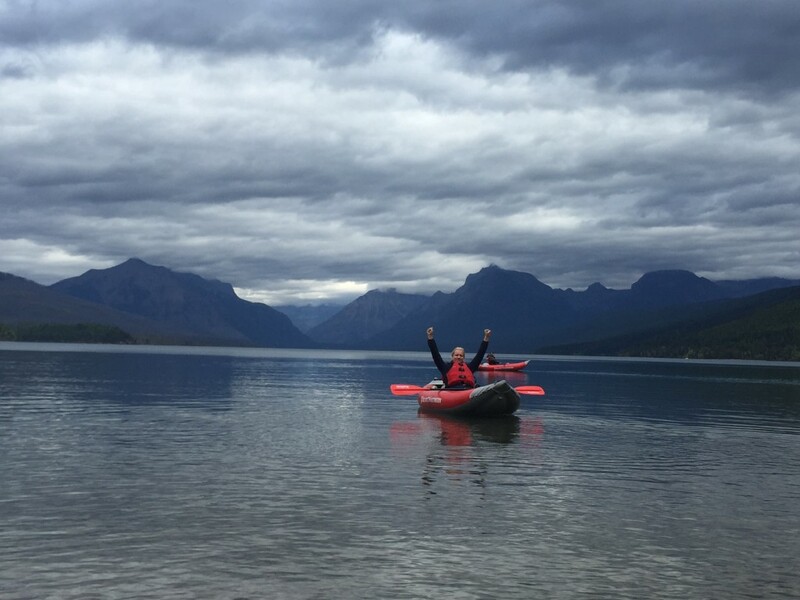 Plus, you can take a boat tour with Glacier Park Boat Company through late September, a red bus tour through mid-October or a guided hike with Glacier Guides. Sun Tours also offers tours through September 30. Some of my favorite hikes include Hidden Lake and Scenic Point. ICYMI: read about last fall’s trip to Glacier National Park here. 3. Play at Whitefish Mountain Resort. Located 15 minutes from downtown Whitefish, Whitefish Mountain Resort offers on-mountain activities on the weekends (Friday, Saturday and Sunday) through late September. Biking the trails on Big Mountain. 4. Tour the Daly Mansion. Located on 46 acres outside of Hamilton, the Daly Mansion is one of the best places to visit during fall. Drive (or walk) down the tree-lined drive just to look at the colors before taking a guided tour at the mansion. Daily tours are offered on the hour through the first week of October. The lane at the Daly Mansion. 5. Visit the Blackfeet Nation. You’ve heard me say it before (and let’s face it, this isn’t the last time I’ll say it), but I love the Blackfeet Nation. Located on the east side of Glacier National Park, fall on the Rocky Mountain Front is pretty incredible. Plus, there’s year-round lodging and attractions in Browning that include The Museum of the Plains Indian and Faught’s Blackfeet Trading Post. Visitors can also take the self-guided Blackfeet Trail Tour. 6. Bike the Hiawatha Trail. 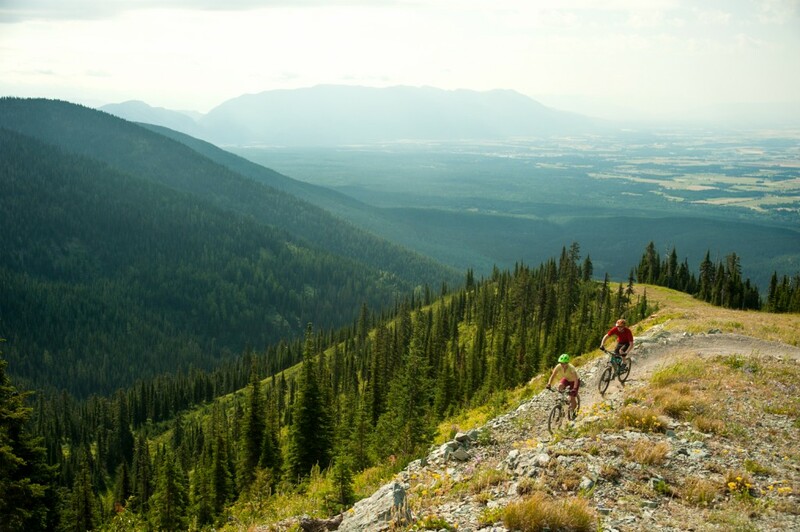 Located in Montana and Idaho, the Route of the Hiawatha is a blast to ride during fall. They’re open daily through the last full weekend in September and the trails offers great views of the Bitterroot Mountains. Plus, you get to ride through tunnels and across high steel trestles. 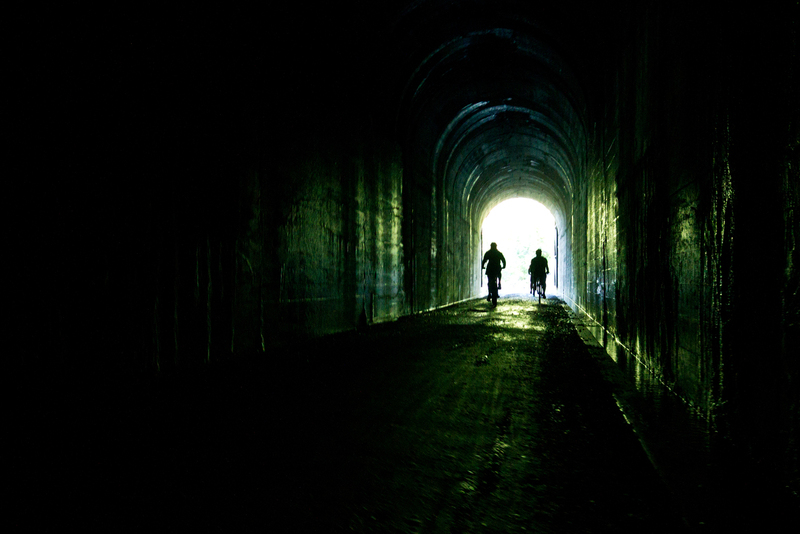 Riding through one of the tunnels on the Route of the Hiawatha. 7. 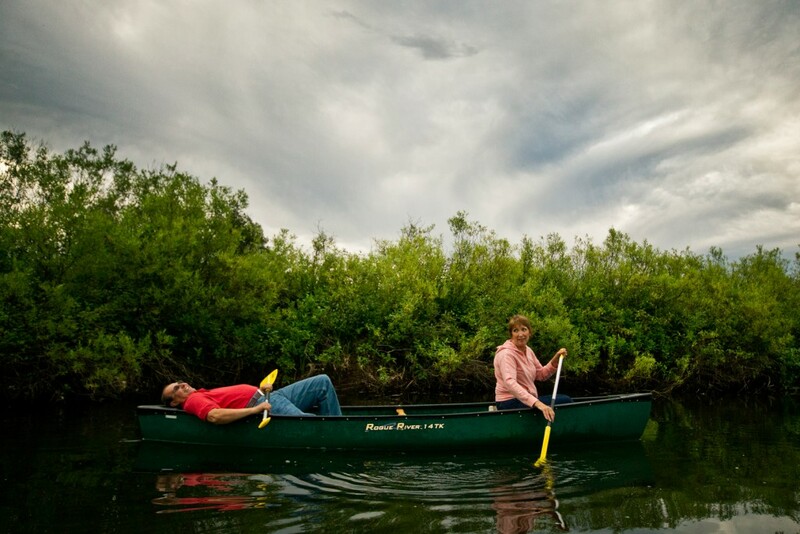 Paddle the Clearwater Canoe Trail. There are several reasons to paddle this canoe trail (located just a few miles north of Seeley Lake) in fall, including the fact that the Seeley-Swan Valley is a gorgeous destination for viewing fall foliage. Plus, it’s even quieter in autumn. Insider tip: you don’t have to bring your own canoe. Rocky Mountain Adventure Gear rents canoes and kayaks in downtown Seeley Lake. And if that’s not enough, be sure to check out more fall travel ideas here. 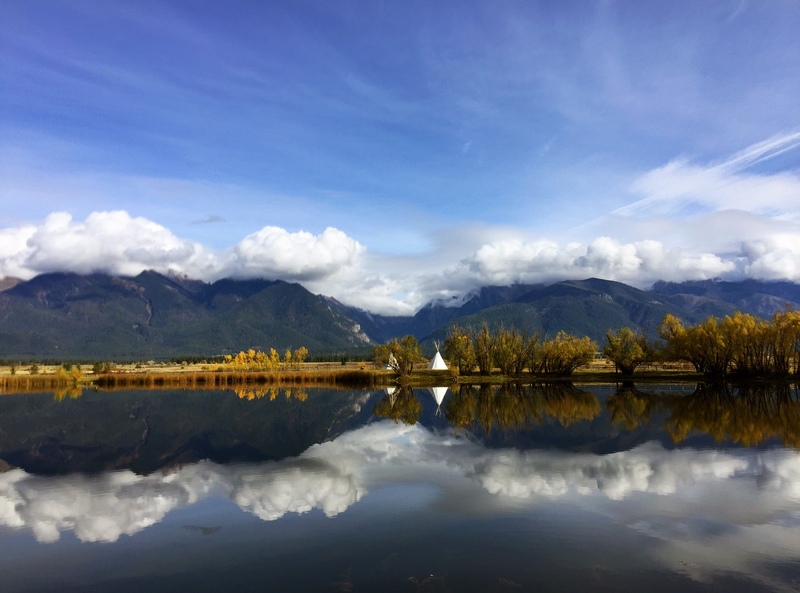 This entry was posted in Fall and tagged Autumn, Fall, Glacier Country, Montana on August 31, 2016 by tiatroy. I have always loved Montana! I drove semi through that state for 14 years. My favorite two places are, Glacier national park, and the town of Libby. Have always wanted to move there, but life has never let it happen. We were there for eleven days in July last year – our first visit. We stayed near Polson in a log cabin on the lake shore and went to Glacier Park and Yellowstone. Newbies like us don’t realise how big Montana is until we get out on the road. Fabulous state. One visit isn’t enough – we’ll be back. You are absolutly right. One visit is not enough. Nor is 2 or 3. We have been to Billings,Sawtooth Mountains, and Glacier National Park. We stayed 1 week each time and never really had enough time on any visit. Thank You for your Ideas. I am in Southern Arizona and allways love getting into an area that has real trees ! We visited last year for the 1st time. We stayed in our RV at Rollins RV Park a family owned campground. It was immaculate all paved full hookup. Our view out our front window was views of flathead lake which is across the street. Montana holds so much beauty one visit is not enough and we cannot wait to return.